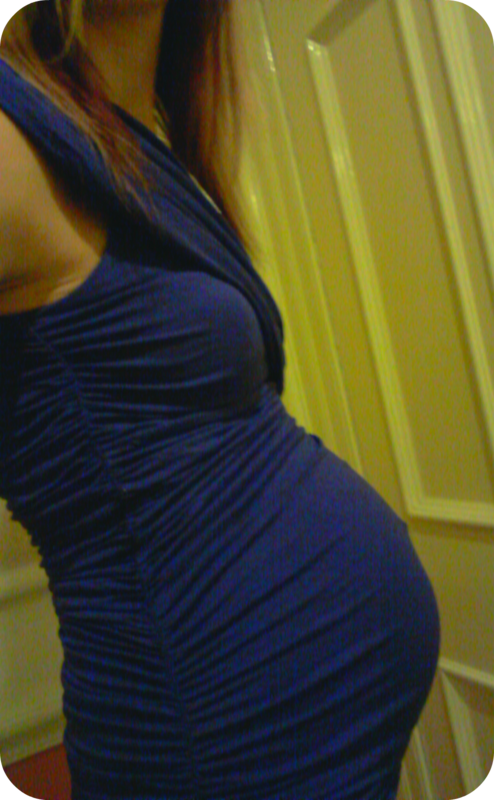 There is nothing more reassuring than feeling that little growing baby start wriggling around. The first 12 weeks of pregnancy are hard, with the tiredness, the secrets and the sickness for some, but I found every little symptom reassuring, as it told me that my baby was doing well, getting comfy and telling my body about its presence. 12 weeks comes and goes, and the symptoms start to lessen.. My energy came back and everyone knew about our pregnancy. My bump started to slow down growth as the bloating became more baby, but I had no way of knowing that this little creature was ok in there. I remember the first time I had felt Dylan move. I was having a spring picnic with some friends and had bought myself a coca cola, even though I knew I couldn't really handle caffeine. I had to leave early and walked to work. When I sat down at work I felt this odd sensation in my tummy, like bubbles popping against it, and all in the same place. I remember sitting there with a giant grin on my face as I finally understood this was my baby moving. It wasn't the first time I had felt something similar but suddenly it was stronger and more confident and I knew what it was. I was 19 weeks and with an anterior placenta I had been told it might be later that I felt the baby kick. At the 20 week scan it was all confirmed. I mentioned where baby was moving and the sonographer scanned over that part and saw his little legs kicking outwards. This pregnancy, my placenta is at the back, meaning there is less of a barrier between Squish and the outside world. It means I was likely to feel movement a lot earlier and I certainly have. I was nearly 15 weeks pregnant when I first felt this little wriggler and I knew that it was my baby telling me everything was alright in there. I don't feel it all day but most days, several times a day I feel the all too familiar bubbling that tells me Squish is awake and having a wiggle. I know it is still early and it will be quite a while before you can feel the little kicks and punches from the outside. I know that some days I don't really feel anything, either because I am too busy to notice or because Squish is facing in a different direction and kicking my bladder or something else. I do however, cherish every single movement, and if you see me sat there smiling, hands hovering over my tummy then you know there is a little party going on in my womb. Those first flutterings are magical. They are light and small but powerful in their own way. It won't be long until I am wishing this baby will nap at appropriate times and let me get some sleep, but until then I intend to enjoy my little secret kicks - I love not having to share my little Squish with anyone as I know once he or she is here, everyone will be wanting a cuddle! How did your baby's first movements make you feel? Do you still remember the first time you felt them? I was sitting in the garden in April sunshine, feeling that first lovely spring warmth, then I felt my daughter for the first time. It felt like I had a fish in my tummy. I wanted to run to tell my husband, but I also wanted to sit perfectly still in case when I moved I couldn't feel it any more. I had anterior with my first and so wondering just how much kicking I am going to get this time then! I always sit still when squish moves in case I disturb! Aaah so jealous, I can't believe I have a blimming anterior placenta again- I remember towards the end with Mads I was on weekly monitoring as because she was breech and because of my placenta I hardly got movement at the end. It showed she was moving a lot but I just wasnt feeling it.